Many of the original deeds to properties sold in West South Midwood contained restrictions that were expiring as 1940 approached, so Passage surveyed the 200 home-owners who comprised the League and solicited their views. The original covenants not only forbade two family homes, except on Westminster, but also prohibited fencing along the front of properties, the establishment of commercial enterprises, etc. The overwhelming sentiment, by two-to-one, was to maintain the status quo, but on a voluntary basis. Passage also tackled more weighty matters. In March 1938, fed up with poor service on the Brighton line (again), he urged on behalf of the League the abolition of the Transit Commission, which then regulated the City's subway system. This would be akin to the West Midwood Community Association today urging the MTA to abolish itself. Passage's sudden dissatisfaction with the public sector was all the more remarkable considering that only two years earlier, he had recommended the abolition of all privately-owned businesses, allowing only the government to run corporations, so as to preserve the peace since “business must have war” and government ownership was “the only escape from it.” Perhaps it was Passage's exposure to government officials as the neighborhood's standard-bearer, or perhaps just the inevitable tempering of emotions which advancing age promotes, but by the time World War II was in full bloom, with his son then a Staff Sergeant in the Army, Passage was petitioning City officials on behalf of West South Midwood to reduce property taxes and cut appropriations for unnecessary government projects. Passage grew up in rural Duanesville, near Schenectady, New York, and migrated to Brooklyn in 1888 after graduating college. He toiled his entire life in the publishing industry as a back-office manager, overseeing book club subscriptions and the like. His employers apparently gave him great latitude to express his political views. 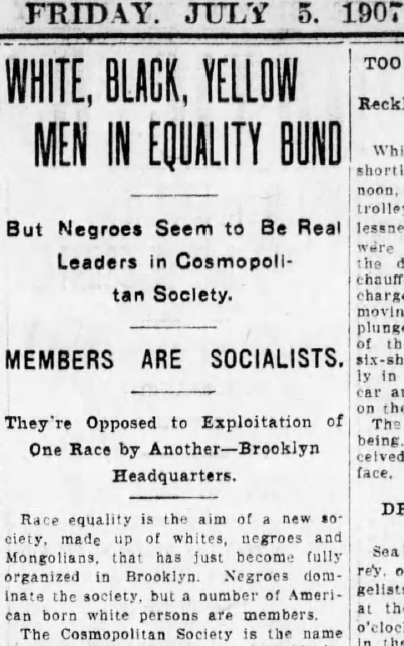 Passage's Pre-League Days A 1908 news story about Brooklynites' interest in socialism called William Passage “a leading socialist orator” who described himself as a “revolutionary” wanting immediate change. In 1907 he was much-quoted in a news story about a Brooklyn inter-racial club he co-founded called the Cosmopolitan Society. 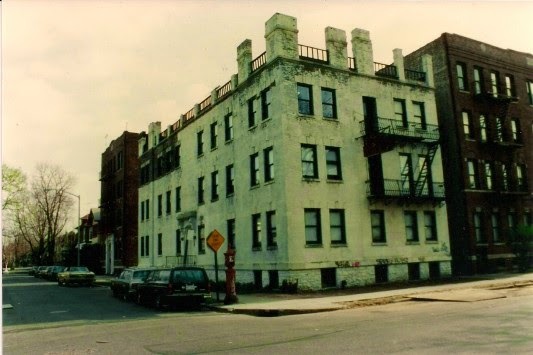 The club was said to consist mostly of African-Americans and grew out of encounters at socialist speeches Passage gave, some of them at the church on the corner of Ditmas and Ocean Avenues. The goal of the Society as explained by Passage was to bring about full social and economic equality for "all races and the working man". Passage ran on the Socialist ticket for Treasurer in the New York State gubernatorial election of 1906 and again as a Socialist Party candidate for three different Congressional seats in the 1920s but was drubbed every time. Passage and his wife, Addie Story Passage, did serve as delegates to the 1924 Socialist state convention, representing Brooklyn's 2nd Assembly District, which covered Victorian Flatbush about 18 re-districtings ago. All in all, William Passage lost a total of 10 elections when one counts his 1898 bid as a Prohibition Party candidate for Congress and his three losses running for Brooklyn Borough President and two for state senator. His 10 defeats however, did earn him a ranking on the Political Graveyard website (http://politicalgraveyard.com/special/lostmost.html). One suspects he must have run unopposed for the West South Midwood presidency. Passage's 1944 obituary omits all of the above. But the Brooklyn Eagle did note his long leadership of the West South Midwood and recalled Passage as an habitual writer of letters to the editor, many of which the Eagle published. 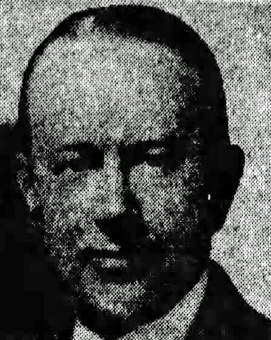 The last known President of the West South Midwood Property Owners League was a political powerhouse and a life-long public servant, Frederick John Henry Kracke of 784 Rugby Road. Kracke was a former Chief of Customs for New York Harbor, a former Public Service Commissioner, a former Commissioner of Plant and Structures, and the former Chairman of the City Board of Assessors for Mayor Laguardia. As Customs chief during World War I he was responsible for all ship building and naval transport here but he almost died in October 1918 after contracting the "Spanish Influenza" that killed millions around the globe and 30,000 in the City alone from September 1918 to February 1919. 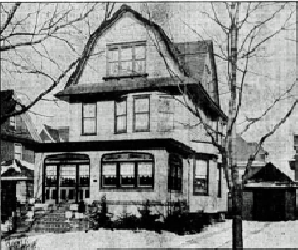 Kracke convalesced in his home at the time, 11 Kenmore Place (since razed for an apartment house off Caton Avenue). Kracke, “a friend to five [Republican] Presidents”, assumed command in 1947, seven years before he passed away at age 86, by which time he had migrated to an apartment at 180 East 17th Street. It was a shocking news story when his will revealed he left an estate valued at only $10,000. Could it be an honest politician had actually walked amongst us, the press wondered. 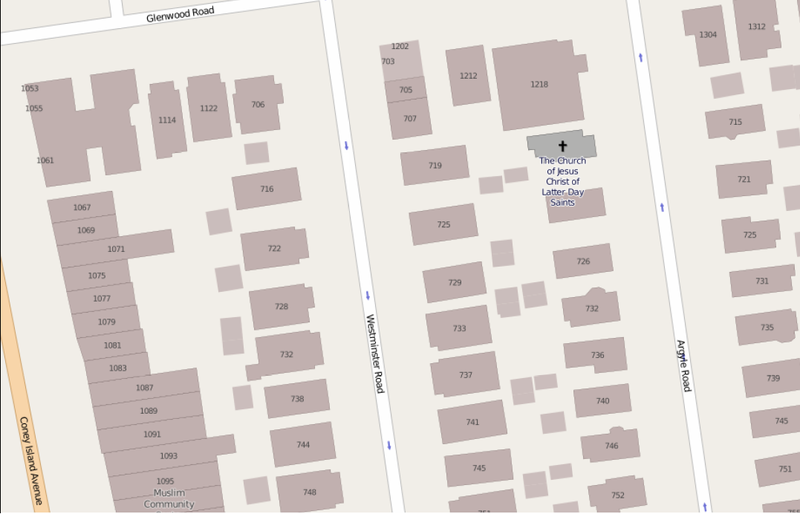 -The original owner, Cornelius Behan, who was arrested on a trumped-up voter fraud charge in 1908, moved his family to 795 East 19 Street in Fiske Terrace, perhaps to avoid becoming a recidivist offender since that was a street with only one name (see Part One). There, his wife was active in social and charitable causes up until September 1937 when the Behan home was auctioned along with all of its belongings as a result of a judgment of foreclosure entered against him by insurance creditors in Kings County Supreme Court. -The next identified owner of 715 Argyle Road, as of 1925, was Max Lippman, a lawyer who founded the Silver Rod store chain, which featured soda fountains that many older Brooklynites still remember. He moved to Manhattan and then to Florida as he developed a progressive illness that killed him in 1933 at the age of 48, a year after he was sued for a stock swindle in Kings County. -In February 1929, 715 Argyle Road was sold again, this time to Ralph and Phyllis Kahn. Phyllis, with three children, was a member of the Parents Association of PS 217 and helped organize fund-raisers which led PS 217 to become “the first school in Brooklyn to own a visual training talking moving picture apparatus". But in September 1931, Phyllis Kahn sold the property after Ralph got into some legal difficulty and moved into a nearby apartment house. On July 3, 1934 Ralph Kahn was sentenced to six months in jail for larceny in Manhattan and three days later, Phyllis, only 35 years old, committed suicide by inhaling gas from the stove in her Flatbush apartment at 2121 Westbury Court. Her children were found unconscious but survived. Phyllis left a note containing $30 in cash and jewelry for her aunt and uncle which indicated she was shamed by her husband's imprisonment. -By 1940, James J. Moore and his family had taken possession of the house. Moore, a Philadelphia native who migrated here in 1916 at age 22, joined Beech-Nut Packing Company the same year, eventually rising to the position of general manager for all sales as Beech-Nut branched out and became Life Savers, the candy company. During World War II he served on the local draft board and in 1949 he was appointed general chairman of Catholic Charities' fund-raising arm. Moore, like Cornelius Behan before him, was an active member of St. Rose of Lima parish, and also served on the board of St. Charles Hospital in Port Jefferson, St. Vincent's Home for Boys, the Empire State Club and was a trustee of the Alfred E. Smith Foundation. In September 1951, Moore, a Democrat who was never politically active, was appointed by Mayor Vincent Impellitteri to the powerful post of Director of the NYC District Office of Price Stabilization, despite the opposition of the AFL & CIO (they didn't like his business executive background). Moore was said to be a compromise choice among Democrats: Impellitteri was then feuding with the corrupt Tammany Boss Carmine DeSapio who wanted to appoint one of his stooges. Then, unexpectedly, Moore went on an immediate leave of absence upon taking the oath because he “needed to tend to his business affairs”. Three weeks later Moore gave up the post as price control czar. He was reported to be retiring in 1953 but in August 1954, 715 Argyle Road became the subject of a Sheriff’s sale arising from creditor William G. Weigand's judgment of foreclosure against Moore. Somehow, he staved off eviction and, postponing his retirement, continued to work for Beech-Nut/Life Savers and charitable causes until he died of a heart attack on Sunday March 14, 1960 in his home at the age of 66. Moore was likely the "gum executive” who our now deceased neighbors, John & Janet Levy, told us they often saw in the late 1950s, praying on his knees by the window of his 2nd floor bedroom. Frankly, this history does not fill me with great confidence as my head hits the pillow each night, wondering if I will soon be hounded by creditors, sued or arrested. I was also surprised to find that at least four wakes occurred in our house. This was very common in New York up until the 1960s, perhaps because so many people used to die in their homes, not in hospitals. Funeral companies were more often used not to host wakes but to transport the body from the house to the church and then the cemetery. Despite all those deaths, we have never had any ghost adventures here. 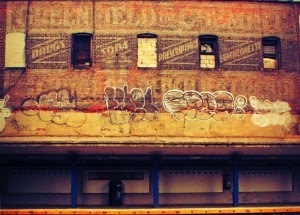 This was not the case in the house where I grew up (Flatbush & Rogers Avenues) but that's a story for another day. The other custom of the time – and which greatly facilitated my research – was the common use of exact home addresses by reporters to identify subjects of news stories and obituaries. In fact I was able to find West Midwood street addresses in New York Times obituaries as late as the 1970s. The other striking convention of newspapers through the 1950s was to never specify the first name of a married woman. Thus, in all the articles about the Westminster Wash-Gate episode, the wife of Edgar H. Pennypacker, who figured so prominently in the affair, was always identified as "Mrs. Edgar Pennypacker". Married women typically appeared in the news as hostesses of parties or fund-raising events and single women were practically invisible to the press. One of the exceptions was Marjorie Bartholomew Paradis, the wife of League President Adrian Paradis. Marjorie was a writer of some note. Indeed, one of her plays, “The New Freedom”, was produced on Broadway in 1930 (reviews called it a “refreshing drama” of “young married life in the more recently gilded levels of Suburbia”). The play (which featured a working wife) won a competition as the best first play and the Times in its interview with her, noted she lived at the suburban address of 758 Westminster Road. Additionally, one of her novels about a Brooklyn family in crisis (featuring a mom who writes) became a well-regarded Hollywood movie in 1934 (“This Side of Heaven”). Her obituary noted she had stirred up controversy in 1928 with her first novel (“A Dinner of Herbs”) which dealt with (GASP!) “trial marriage” (per the Times) or “companionate marriage” (per the Eagle). 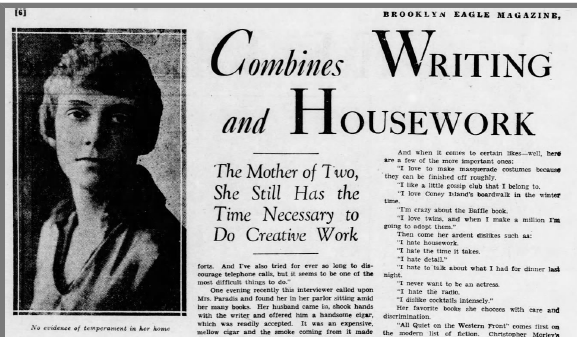 A visiting Eagle feature writer in 1930 elicited Marjorie's love for writing, Flatbush -- particularly West South Midwood -- and a severe dislike of traditional housework. In all of the community's laundry list of complaints during its first half century, we could find no mention of the Oak Hotel. 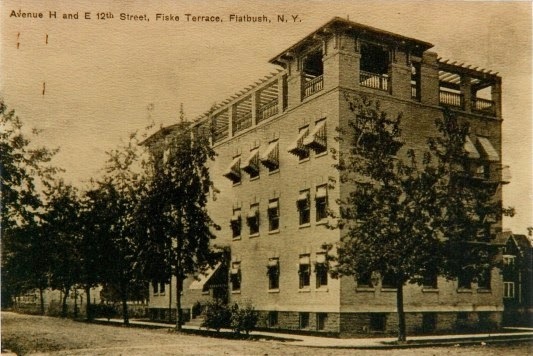 Thought to be a way-station for those traveling on the excursion line to Manhattan Beach, the Hotel Oak, at 800 East 12th Street, was simply a luxury apartment building that opened in 1908. We found an ad looking for a house-keeper posted by the Hatch family there in April of 1908, followed by ads for large apartments. In fact, prior to the onset of the Great Depression, many ads could be found for six room apartments at 800 East 12th Street and not a single one identified it as a hotel. Many of the ads described the apartments as “high class” and “thoroughly modern”. The property did not start advertising as a hotel until 1936 when rooms were renting “from $3.50 weekly”. By 1955, the weekly price of a room at the Oak had risen to $11. Other buildings in the area also rented rooms for about the same price, including the Rugby House at 816 East 14th Street. And by the way, Avenue H never was named Hiawatha Avenue, although T.B. 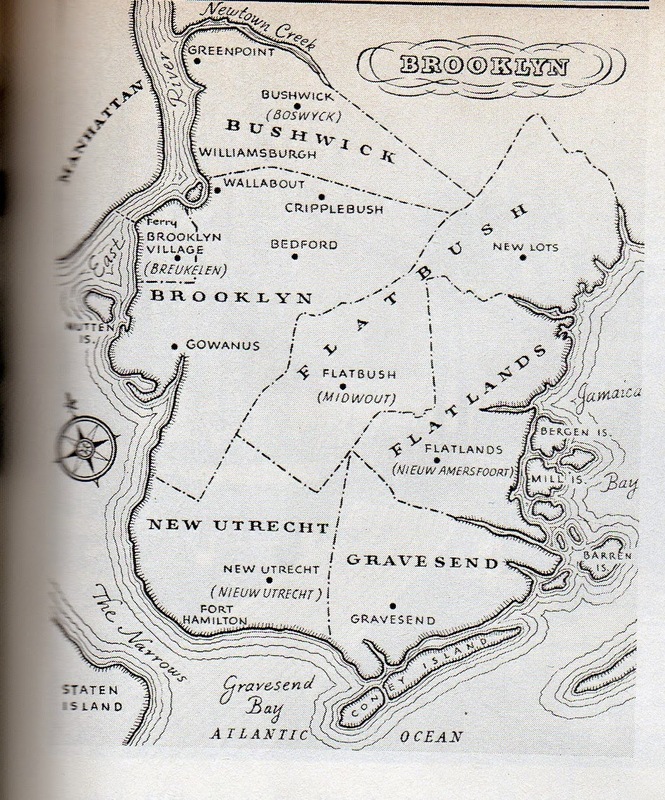 Ackerson did use the name for one of the streets he developed in Brightwaters, Bay Shore, Long Island. It was a tumultuous time that produced our neighborhood. The mostly empty woodland of South Midwood became populated thanks to descendants of 17th century settlers selling a huge tract of unused acreage in 1900: only four years after the City of Brooklyn had finished annexing its six towns (Flatbush, Flatlands, New Utrecht, Bushwick, Gravesend and New Lots); and only two years after Brooklyn itself had been subsumed within New York City. When the St. Rose of Lima grade school was opened in 1892 it was intended to serve “the Villages of Parkville, Ardmore, Greenfield, Kensington and part of New Utrecht.” No Victorian Flatbush neighborhoods were listed because they had yet to be built. Some of the people who settled here were children or grand-children of the Grand Army of the Republic that had been so bloodied two generations earlier. Thus it was not unusual when, at the opening ceremony for the Rose of Lima school, a large American flag was hoisted as Civil War vets played “Marching Though Georgia”. Nor was it odd to find a long letter from a resident of what later became the Hotel Oak, a man named C.W. King, who upon the 50th anniversary of the start of Civil War in 1911, wrote on behalf of his ailing father, a veteran of Sherman's “March to the Sea”, to claim that the burning of Columbia, South Carolina, was an accident. 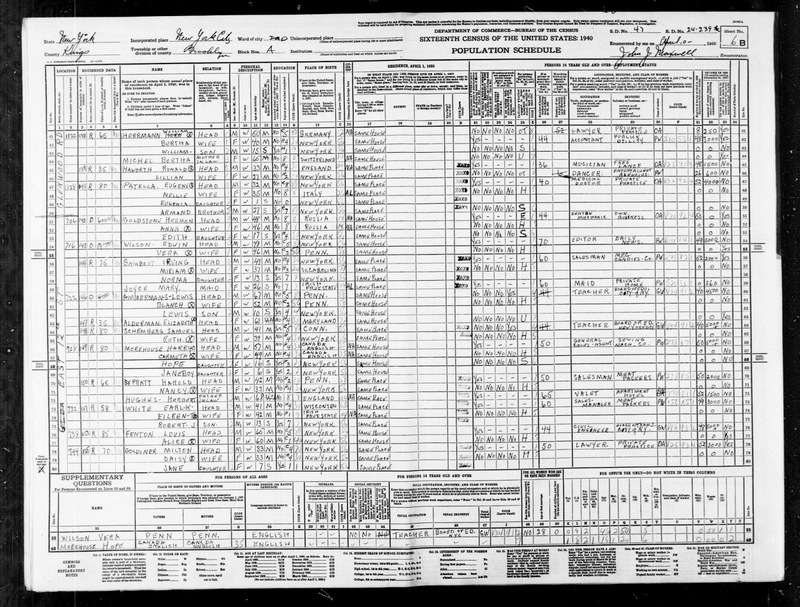 And judging from census data, it seems many who first lived in our homes were immigrants or children of immigrants. Finally, the last recorded activity of the West South Midwood Property Owners League, in December 1954, was to arrange for a Salvation Army band to accompany Christmas Eve carolers as they fanned out from the Wells Presbyterian Church on a snowy Argyle Road. END OF PART THREE. COMING IN PART FOUR: WEST SOUTH MIDWOOD THREATENS TO INVADE PARKVILLE.